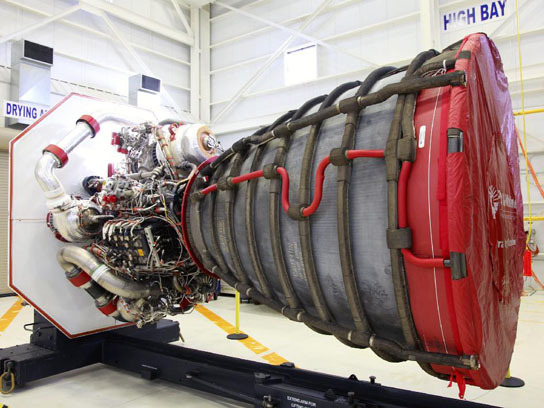 NASA has started to move their inventory of the RS-25D flight engines to the Stennis Space Center for future use in the new heavy-lift launch vehicle, Space Launch System. The relocation is expected to create significant cost savings for NASA by enabling them to share personnel and resources at Stennis where they are currently testing the J-2X engine that is set to power the SLS upper stage. The RS-25Ds — to be used for the SLS core stage — will be stored at Stennis until testing begins at a future date. Testing is already under way on the J-2X engine, which is planned for use in the SLS upper stage. Using the same fuel system — liquid hydrogen and liquid oxygen — for both core and upper stages reduces costs by leveraging the existing knowledge base, skills, infrastructure and personnel. 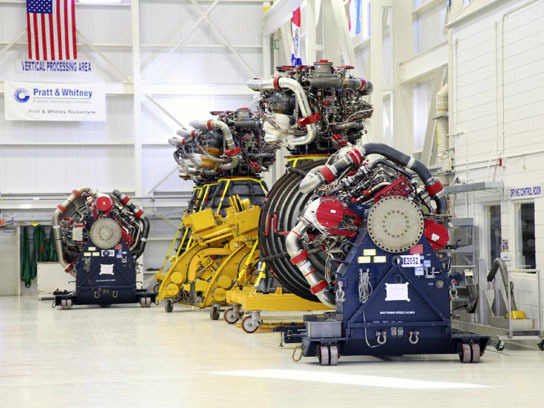 The 15 RS-25D engines at Kennedy are being transported on the 700-mile journey using existing transportation and processing procedures that were used to move engines between Kennedy and Stennis during the Space Shuttle Program. They will be relocated one at time by truck. Built by Pratt & Whitney Rocketdyne of Canoga Park, Calif. the RS-25D engine powered NASA’s space shuttle program with 100 percent mission success. 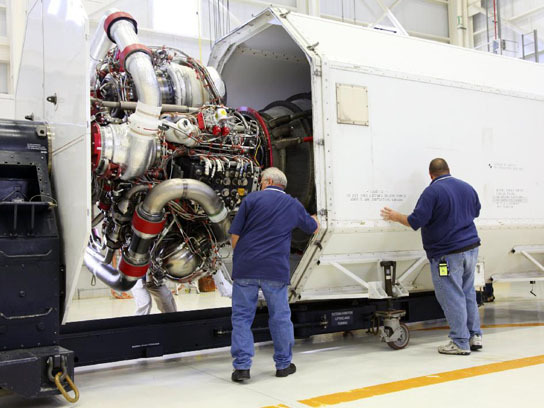 Be the first to comment on "NASA Moves RS-25D Flight Engines to Stennis for Space Launch System"